SEBASTIAN – A 21-year-old Sebastian woman was arrested in Vero Beach on charges of Felony Fleeing & Eluding and Driving on a Suspended License, according to the Indian River County Sheriff’s Office. 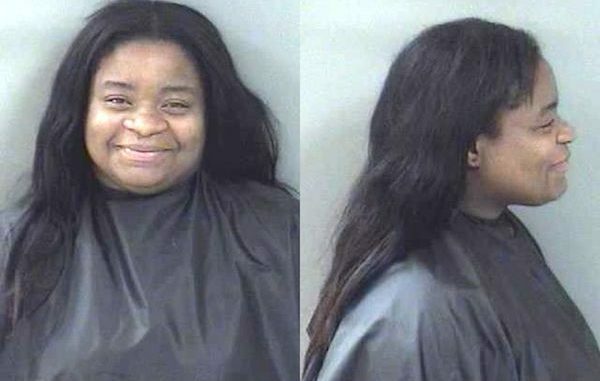 Lerissa Jamise Flowers was seen hiding in the backseat of the vehicle she was driving after she was pulled over by deputies. On Monday at approximately 9:00 p.m., Flowers was seen speeding on 33rd Avenue. When a deputy tried to pull her over, she made a sudden turn onto 34th Avenue and failed to stop, according to the report. When the vehicle finally came to a stop, the deputy approached the driver’s window. “There was no occupant in the driver seat. Driver seat was completely reclined back,” the deputy said. Flowers was seen hiding “on her knees” behind the driver’s seat to avoid arrest. Flowers told the deputy she was not driving. However, the front passenger said she was driving and that she jumped into the rear seat when the deputy activated his patrol lights, the report said. Deputies found a cell phone and a pair of shoes on the driver side floor board belonging to Flowers. “Flowers was the only occupant in the vehicle not wearing any shoes,” the deputy said. She was transported to the Indian River County Jail and released on Tuesday morning.